I found an interesting video about Bonfire Night History that I thought I would share. The Year 1605 to Now! It’s November 5th and the night is full of fire and explosions, but don’t be alarmed. This is the annual British event called ‘Bonfire Night’. So what’s the story behind the fires and pyrotechnics? Well, we have to go back to the time of King James I in the 17th Century to find out. The main character to remember here is one Guy Fawkes – a member of a group of 13 English Catholics who took part in the failed Gunpowder Plot of 1605. 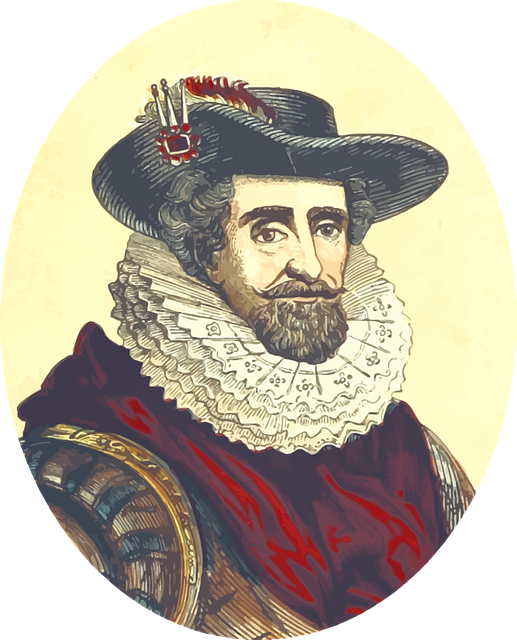 He was born in York, England, and as a soldier fought on the side of Catholic Spain against the Protestant Dutch Reformers. Because of his skills with explosives he caught the eye of a man called Thomas Wintour who, back in England introduced him to Robert Catesby, the leader of a group of influential Catholics. Now, Catesby had a plan to assassinate King James I and restore a Catholic monarch to the throne of England. 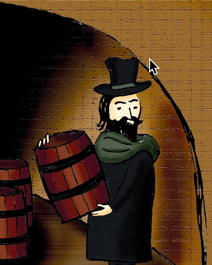 To accomplish this dastardly deed, the plotters bought the lease to an undercroft (a large cellar) beneath the House of Lords, and Fawkes was placed in charge of the 36 barrels of gunpowder they put there. The idea was that on the day the King opened Parliament, there would be a large explosion and a sudden vacancy for a new Catholic monarch. However, because of the receipt of an anonymous letter, perhaps sent by one of the plotters, the authorities searched Westminster Palace during the early hours of 5 November, and found Fawkes guarding the explosives. Over the next few days, he was questioned and tortured, and eventually he broke, naming the rest of the plotters. Some of these were killed, others caught and sentenced to death for treason. At this time Britain used a particularly gruesome method of execution where prisoners were hung, drawn and quartered followed by having their heads removed and spiked somewhere in London. Interestingly, Fawkes managed to escape this painful fate because he jumped from the scaffold where he was to be hanged and broke his neck. To prove old England’s overthrow. With a dark lantern, lighting a match! Not a nice end for Guy and his followers but nevertheless, many lives were saved on November 5th 1605, including those of King James I and all of Parliament and many people who would have been in the vicinity on that day. Every year on November 5th most people across Great Britain celebrate Bonfire Night. Apparently many children (and adults) are unaware of the history behind the celebrations. Most people do know that it is linked to Guy Fawkes who tried to blow up Parliament. 17th century royalty was all powerful but also precarious due to various plots and divisions across Great Britain. James’s mother was Mary, Queen of Scots and he became king of Scotland in the late 16th century. When Queen Elizabeth I died, he also succeeded her. He was then known as King James I in England and King James VI in Scotland. King James became most well known for sponsoring the translation of the Bible into English – the King James Bible is still used in many churches throughout the English speaking world, although modern translations have largely replaced it. Guy Fawkes was a radical catholic who joined with others to plot against the king. They wanted to restore a Catholic to the throne and planned to blow up Parliament during State opening where the King would be in attendance. The opening of Parliament had been delayed until November 5th, 1605 due to fears of the plague spreading. Guy was not the leader of the group but he was the one caught guarding the gunpowder that was to be used. Someone had tipped off the Government and later the King and following a search of the under-buildings, Guy was found, arrested, tortured and executed. Traditionally he would have been hung, drawn and quartered but he managed to leap off of the platform and break his own neck, preventing this barbaric execution. After the failed Gunpowder Plot, celebrations began every year on November 5th and an effigy of Guy Fawkes, known as a guy was burned on a bonfire. As fireworks were developed, the celebrations became more and more lavish in future years. Children would make a guy each year out of old clothes stuffed with newspaper – usually the guy was given an ugly mask but in later years the heads became less horrid. Children would often take out their guy, leading up to bonfire night and ask people for ‘a penny for the guy.’ I remember doing just that throughout my childhood and I would use the money to buy sparklers or chips for Bonfire Night. In many ways, Bonfire Night has been eclipsed by Halloween as far as children are concerned. Most children these days appear to go ‘trick or treating’ rather than making an effigy and asking for a ‘penny for the guy’. 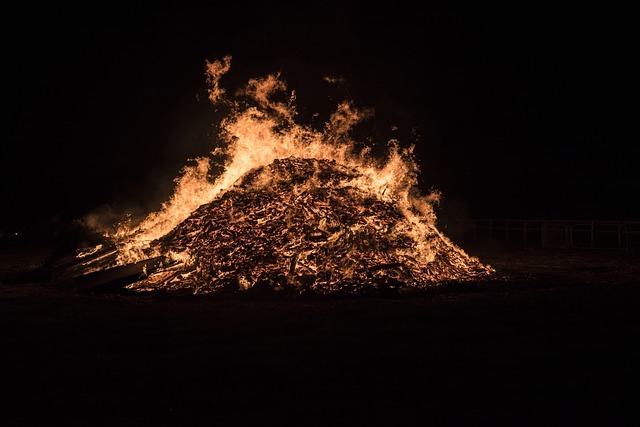 For the most part though, Bonfire Night continues to be celebrated with bonfires and fireworks and due to the proximity of Halloween the fireworks seem to start earlier and earlier, culminating in the grand finale on November 5th. This has been only a short description of the history surrounding Bonfire Night – the true history involves much more complexity and many other people who were involved in the plot. Guy was the one caught with the gunpowder and so he has become the most famous. Many people still burn guys on top of bonfires but it is a tradition that is waning as many bonfires do not feature a guy at all. Some people are calling for a ban on firework sales to the general public due to the number of injuries that occur every year – but for now the tradition continues. 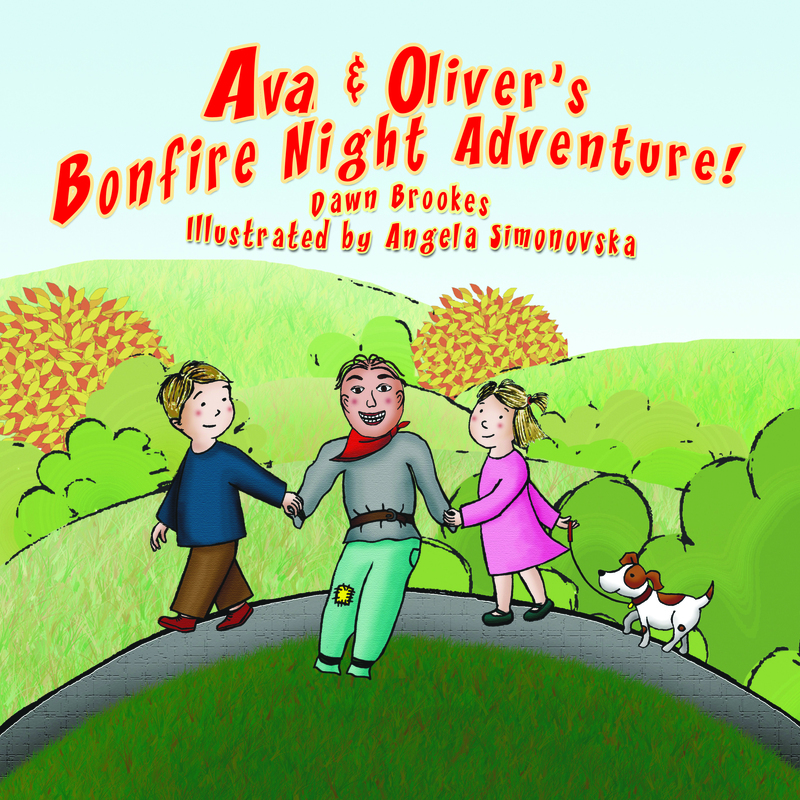 In this story, two friends are asked to make a guy for that will be burned on the village bonfire. Ava & Oliver and Oliver’s dog, Buster grow increasingly attached to the guy. As bonfire night approaches, they are filled with dread. What will happen to their guy? This is by far my favourite writing so far and the book has been beautifully illustrated. It will educate young children about some of the history whilst creating a magical story of friendship as the children realise that there may be more to their guy than meets the eye! Early readers, 4-7 year olds. Now available in paperback and kindle format. Images not attributed are used care of Creative Commons license from Pixabay.